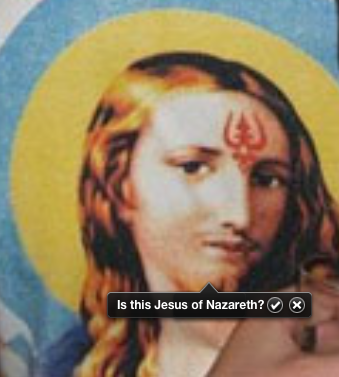 As you probably know, iPhoto's facial recognition feature likes to spot visages in odd places. Like a ball of cookie dough that looked like a panda. Now, there's a place for even more delightful mistakes. The Things iPhoto Thinks Are Faces group already has 86 screen captures in its pool, which I'm sure is going to grow. And by the looks of it, iPhoto is as keen on seeing faces in mountains, piles of rocks and at the bottom of an empty glass as the most superstitious astrological devotee. Or Virgin-Mary-in-Toast spotter.